My life is filled with joy, meeting friends and going to the playground, cooking, doing the laundry and all the small details that come with a household of 4. Not to mention my 6-page-to-do-list. And then I practice Taijiquan and Qi Gong, of course. That alone can take up more than 10 hours per week. And some might say: wouldn’t my life be less stressful if I could use those 10+ hours per week to tackle my to-do-list? Or shouldn’t I rather spend more time with family and friends instead of standing alone in the living room moving realllllly slowly? I am healthier. With two young kids in daycare there are a lot of colds and coughs lingering. But the more I practice, the healthier I am. I can even feel during certain exercises how they help my body to relax so it can do its best and keep me healthy! I eat healthier. I guess it is pretty obvious that I do not want to spend hours after hours exercising only to pour a can of Coca Cola afterwards! I only put inside of me what benefits me. So I just eat a lot of home-cooked vegetables. I know what to do when I feel not so well. Instead of thinking “should I go shopping? where’s my chocolate? how about watching Downton Abbey?”. 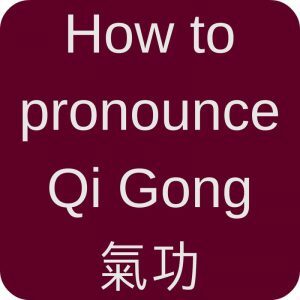 I know I just need to start a simple exercise or the Taijiquan form to feel better and refreshed afterwards. Less drama. (Just in case my husband reads this: I said less drama, not no drama! I mean, I am still a woman 😉 ) But there really is very little room for drama when mind and body are calm. I know where I stand. This one is a little tricky and may seem contradictory to “less drama”. 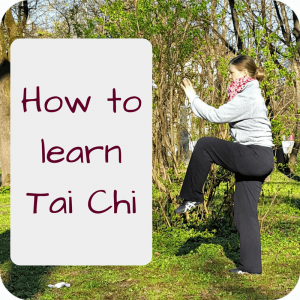 But with Taijiquan I learned how important it is to know my position. However, the aim is not to make my opponent stand in my shoes! I can stay where I am and let that person stand where he/she is and “win”! And even if I “lose”, I surely learned something. I am currently working on applying that to general discussions and I truly enjoy whenever I manage to stay relaxed during an argument. I have to admit, this is not a very scientific list. 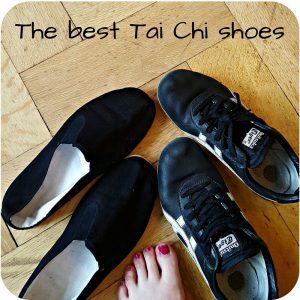 So if you are looking for scientific evidence, have a look at my long list of Tai Chi benefits. 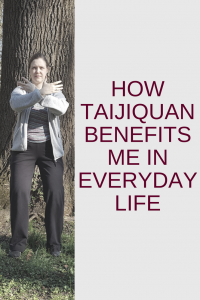 What is the biggest way that Taijiquan benefits YOU? 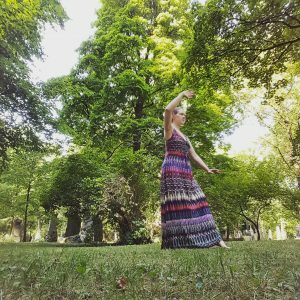 This entry was posted in Thoughts and tagged benefits, health, Taijiquan on 2016-05 by Angelika Fritz. Pingback: Interview with Scott Meredith, blogger at "Tabby Cat Game Space"